that this policy requires ballots in enough circumstances. The Mayor of London has proposed a policy which mandates the balloting of residents for estate regeneration schemes where demolition of existing homes is proposed and where Greater London Authority (GLA) funding is sought. An 8 week consultation finished on April 3rd, seeking views on this potential policy. 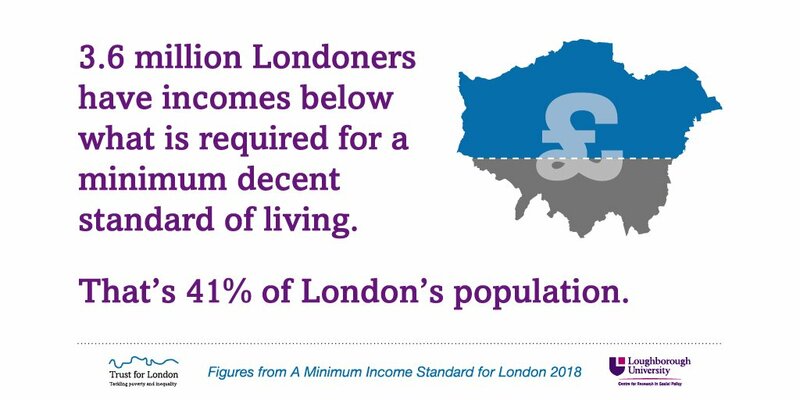 Trust for London submitted a response, which draws on the work we have funded, notably London Tenants Federation, Create Streets, the Town and Country Planning Association, and our commitment to a more equal London. Question 1: Do you agree that the GLA should make resident ballots a funding condition for estate regeneration schemes? Yes, this seems a pragmatic approach to strengthening the engagement of residents in large estate regeneration schemes. Question 2: Do you agree with the proposed criteria that would trigger the requirement for a resident ballot? Why/why not? Overall, no: the scope of the ballot requirement should be wider. The proposed criteria align pragmatically with the Mayor’s legal responsibilities for planning. However, the funding condition in favour of ballots should apply wherever Mayoral funding is sought for estate regeneration. Contentious regenerations include those resulting in smaller numbers of new homes, or where businesses or community amenities (such as car parking or green space) are demolished rather than homes. In such cases, ballots can help to ensure that resident engagement is conducted in meaningful ways. Question 3: Do you agree with the proposed scope of resident ballots? Why/why not? These aspects imply that a ballot should take place later in the process, as these features often are agreed together with a developer and architect. Question 4: Do you agree with the proposed stage in an estate regeneration process at which ballots should happen? Why/why not? We have discussed this with our grantee, Create Streets. On the basis of their expertise in engaging residents in estate regeneration in ongoing ways, we emphasise that ballots must be only one stage in an ongoing process of resident engagement. Ballots should be timed in such a way as to enable residents to meaningfully engage with and influence plans for development, while also ensuring there is ongoing accountability for delivery of commitments made to residents. On balance, we believe ballots should happen later in the process, based on a residents’ charter (or similar) agreed early on. This is, we believe, the best way of achieving the above goals. We appreciate that GLA funding may well be agreed early in the process to enable schemes to get underway, and this may be pragmatically driving the proposed timing of ballots. We suggest that, rather than the ‘clawback’ mentioned in Point 3.13, funding could be awarded ‘in principle’ or in tranches, with later tranches being conditional on a successful ballot. This may increase the risk of such developments. The impact of the policy should be monitored, to ensure it does not detrimentally impact investment. Question 5: Do you have any other comments on the threshold, scope and timing of resident ballots? We recognise that, sometimes during the course of development and planning discussions, significant changes can take place. If this leads to material changes to the offer balloted by residents (e.g. changes of a set percentage or +/-10 in the amount of homes at equivalent cost for returning households), as outlined in Point 3.13, there should be another ballot, as the residents’ consent no longer applies. Question 6: Do you agree with the proposed eligibility criteria for resident ballots? Why/why not? It should be clarified who within the household has the right to vote. We support the proposal suggested by London Tenants’ Federation (LTF), that adult occupants listed on the tenancy agreement should have a right to vote. We also support LTF’s proposal that those who have been decanted from an estate but indicated a desire to return should have a right to a vote. In the guidance on ballots, while we understand that, pragmatically, private rented sector tenants may not have a right to a vote, we are keen that reference is made to their presence on the estate, and their involvement in consultation. This is present in the Good Practice Guide; we are keen that the focus on ballots does not mean that their role is now neglected. Question 7: Do you agree that eligibility criteria should be the same for all schemes? Why/why not? The guidance should include a ‘norm’. However the variability of such schemes may make it appropriate in some cases to include a broader range of people within the scope of the ballot. For example, some schemes (e.g. the redevelopment of a market), it may be important to include businesses; for others (e.g. in-fill development of green space), the development may mean a significant loss of amenity for non-residents. Hence the rules should include a minimum franchise, and guidance on avoiding inappropriate ‘dilution’ of the franchise, while permitting wider eligibility where relevant to a regeneration scheme. Question 8: Do you agree with the Mayor's proposed requirements for implementing ballots? Why/why not? Yes, we agree with the proposals - a simple majority seems pragmatic. Question 9: Do you have proposals for other potential Mayoral requirements for implementing ballots? We recommend that the Mayor explore setting a norm for a minimum turnout in ballots, e.g. applications receiving Mayoral funding would be expected to have the positive support of at least 20% of eligible residents. (Implying either a large turnout in a contentious ballot, or a smaller turnout in a relatively uncontroversial one). We appreciate that turnout in ballots is difficult to achieve. However there are well established methods to engage people, and the present situation where hundreds of homes are demolished on the basis of consultation of tens of people is not acceptable. A turnout threshold would also help to prevent a highly engaged ‘anti’ minority from over-ruling the wishes of residents. If a ballot was not successful in attracting sufficient turnout, the default would be a re-run of the ballot (rather than the scheme not going ahead). The cost of doing this would create an incentive for landlords to seek to ensure high turnout the first time. Question 10: Do you agree with the proposed exemption where the demolitions are required to deliver an infrastructure scheme? Why/why not? Question 11: Do you agree with the proposed exemption where the demolitions are required to address safety issues? Why/why not? While we accept that safety issues may create urgency around regeneration, the current exemption wording is too broad. Many estates, due to their age, imperfect maintenance histories, and recently recognised issues in building control, may have safety issues that could be used to avoid a ballot. Any exemption should be linked to an externally recognised standards or threshold, e.g. presenting Category 1 HHS hazards, or evaluated by the Fire Brigade as presenting significant fire risk. Residents have arguably the greatest stake of anyone in safety; it should not therefore be so hard to formulate a scheme that will gain their buy-in and pass a ballot. Question 12: Do you agree with the proposed exemption where a specialist or supported housing scheme is being decommissioned by a local authority? Why/why not? Question 13: Do you have proposals for other potential exemptions to the proposed funding condition? Overall exemptions should be kept to a minimum, to avoid creating loopholes. Where there is existing legislation that covers the area of work, there should be a clear case for adding to or expanding any exemptions. Question 14: Do you agree with the proposed transitional arrangements? Why/why not? Yes. It is not appropriate to require landlords to re-run ballots, even where these have been poorly run, where this was not a requirement at the time. It’s a reasonable principle that the state should not normally act retroactively.